We had a triples team playing last Saturday, 08th July, at Kirkhill BC in the RDBA Jubilee Triples competition. 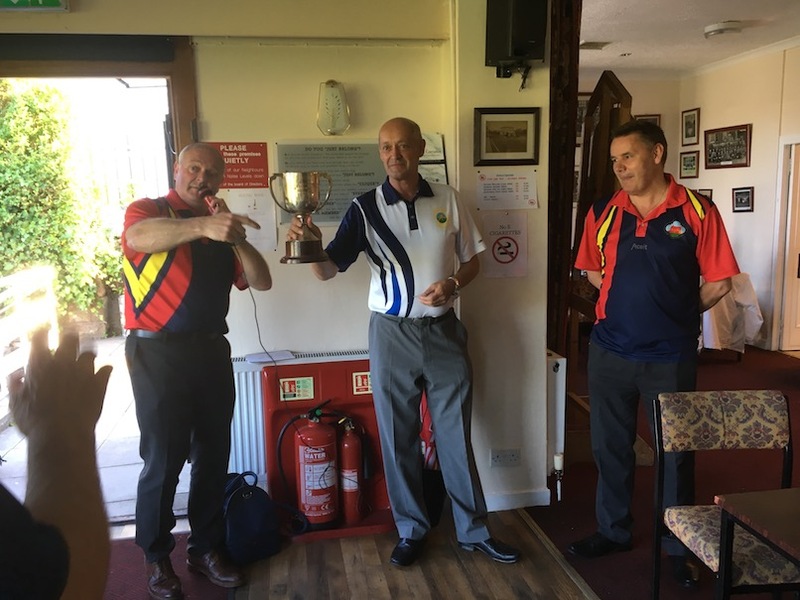 Twelve member bowling clubs from the RDBA took part, thats is, Rutherglen, Kirkhill, Cambuslang, Overtoun Park, Templeton, Burnside, Croftfoot, Halfway, Whitefield, Kingswood, St.Leonards & Tollcross. Cambuslang BC (W. McArthur, I. Skillen. J. Kirk) and Whitefield BC (M. Morris, D. Russell, M. O’Hagan), made it to the final. It was a very close well fought out final with Cambuslang winning by 7 shots to 6 after five played ends. 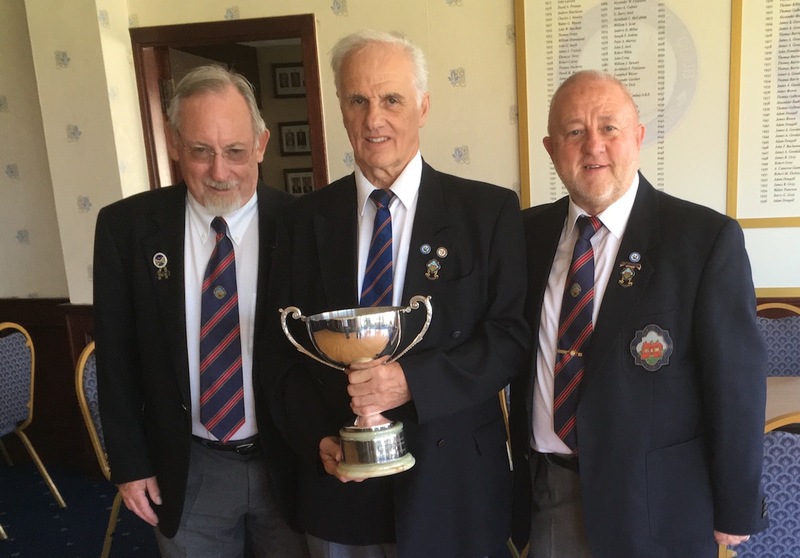 The parish match between our two clubs is made a bit special as since 1977 the tournament has had a challenge cup - The McGinlay Trophy, donated by the then owner of the Sun Inn Mrs Maureen McGinlay. The President of Cambuslang in 1977 was Jim Montgomery Sen and the Halfway BC President was Jackie Fergus. Both clubs have competed for the trophy ever since with the format of 2 pts a win. This year the winners were Halfway B.C. The shots totals were Cambuslang 81 v Halfway 95. 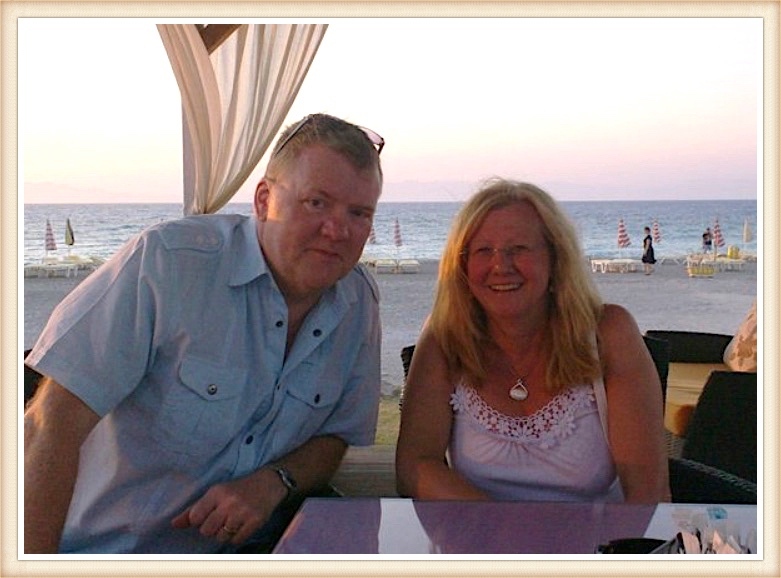 Sadly after a long illness member Fraser 'Fraz' Chambers died today, Sunday 30th July. Hon.Past President Peter Phillips a close friend and colleague wrote "I am sad to pass on the news that Big Fraz Chambers passed away today in the Queen Elizabeth hospital Fraz received a Kidney transplant earlier this year and also had Heart Problems he was a larger than life character and will be sadly missed by many, I spoke to Liz just after he passed away and it was peaceful. I will update you on the funeral details when I have them"
A fund raiser for local girl Lynsey Torrance to give her the chance to fulfil a dream to play for the 'Great Britain Swans’ Australian Football League team in the AFL International Cup 2017 in Melbourne. Lynsey plays for the Glasgow Sharks and seven of their players made the GB squad. The Melbourne tournament kicked off on Sunday 6th August and can be followed online. At the Cambuslang BC fundraiser we raised in total £2400 of which £1900 went to Lynsey. 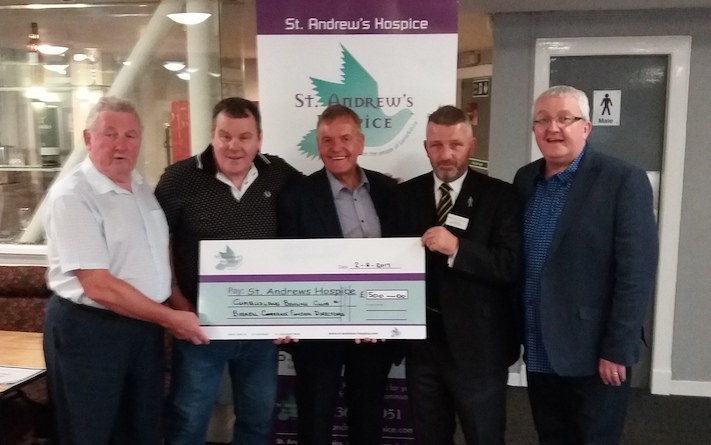 The remaining £500 was presented to the St.Andrew’s Hospice by Jim Torrance, Past President John McKillop, Robert Birrell and Tam Cowan who all helped contribute towards the fundraiser. Our thanks to everyone who supported the fundraiser both financially and of giving up their time.